I love brunch! I’ve always found breakfast unreasonably early. I also really really love the Pot Luck Club. They make some seriously delicious food! So when given the opportunity to pair my two loves of the Pot Luck Club and brunch it was an obvious yes. 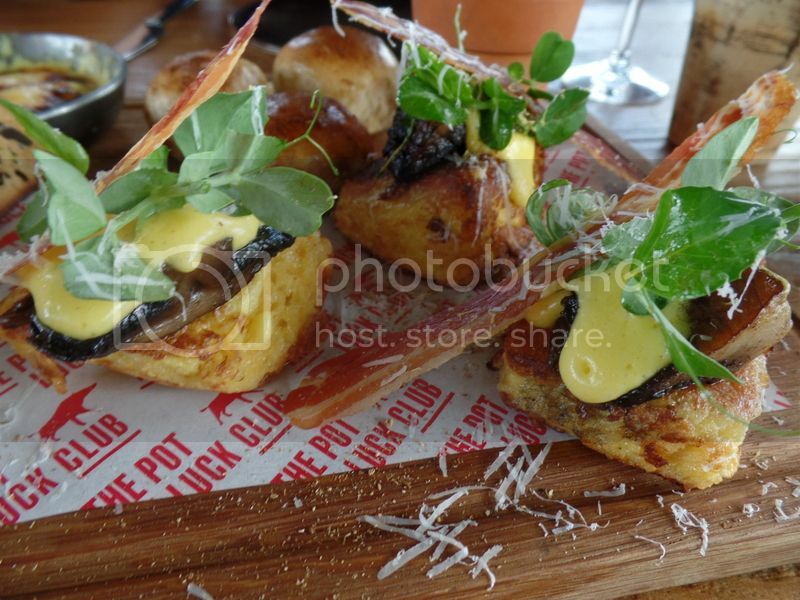 On Sundays the Pot Luck club serves up a set course brunch menu for R350. And an extra R150 gets you a bottomless glass of Pierre Jourdan Méthode Cap Classique and unlimited Bloody Marys. I spent my birthday lunch at the Pot Luck Club and so we definitely opted for the bottomless bubbly option! I think I must have drank about seven glasses by the end of our long lazy lunch – and I think that’s what birthday happiness is all about! The extra R150 drink option covers both Bloody Marys and MCC so I though it would be best to start with the Bloody Mary. 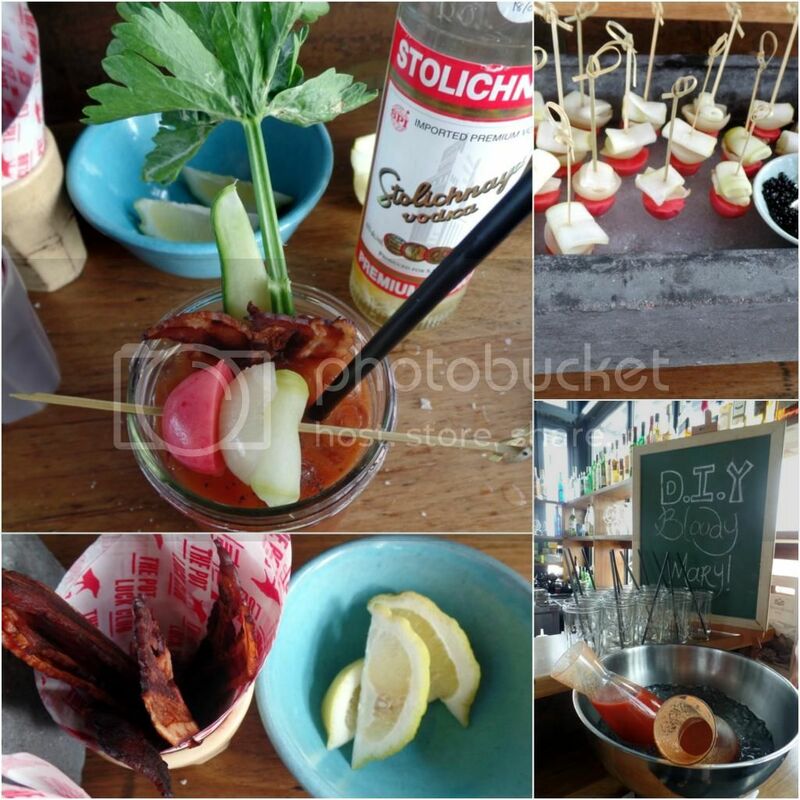 I was having the best fun at the Bloody Mary DIY station until I realised I don’t like Bloody Marys… awkward! But at least because it’s all included I’m not paying more! I promptly switched over to the Graham Beck Bubbles – which I am very partial to. The Bloody Mary DIY station is seriously fabulous! 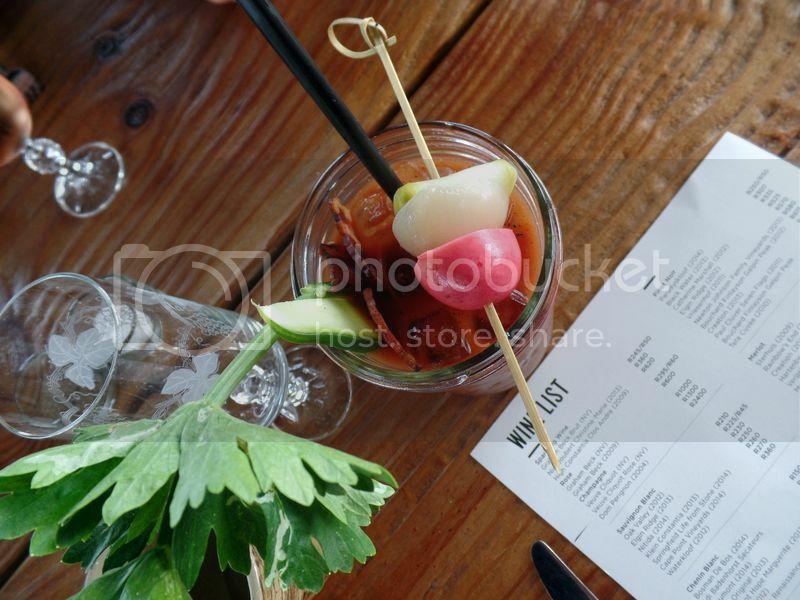 You have a choice of two different tomato juices, three different flavoured vodkas, candied bacon, radishes, celery, cucumber, tabasco sauce and Sriracha. You really can make the best Bloody Mary finely tuned to your personal taste. I put all of these in a Consol glass jar, had a sip, pulled a face and passed it along. I think tomato juice is not my thing! Oh well – it was fun to make! Brunch starts of with breakfast! This tapas board was for three of us to share. At the top left was the Mini Arnold Bennett. This was new to us and we had a little google. What it is is an omelette with smoked haddock, Parmesan cheese and cream which the Savoy Hotel in London made for Arnold Bennett. The omelette was really rich because of the Parmesan and cream and a little fishy. It was good to have a little taste between three but would have been much too rich to eat the entire omelette! One of my favourites of the breakfast course was the Sriracha baked beans with the pork belly bun. 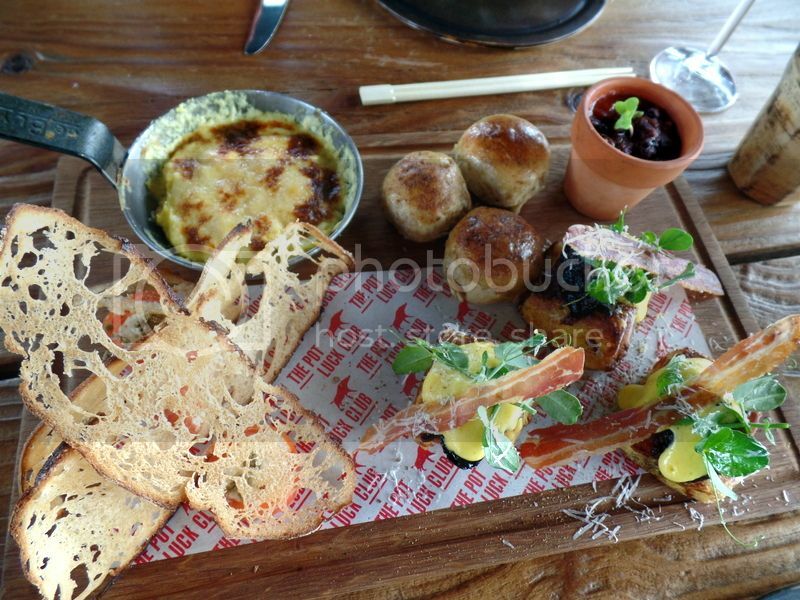 The baked beans were served in a little pot plant and were perfect for spooning out and spreading on the sweet little pork belly buns! The sweetness of the buns with the saltiness and warmth of the baked beans was so delicious! Below is the smoked salmon and horseradish cannelloni which was wonderfully light and perfectly paired with my MCC! Above are the Mushrooms on toast with pancetta. When you read the menu this comes across as a fairly simple dish. When it arrives you are proved very wrong! The toast is not any old toast but light fluffy french toast! The mushrooms are gorgeous and fried in plenty of butter and drizzled with a rich buttery sauce. The mushrooms are then topped with crispy pancetta and a generous grating of parmesan! Oh my goodness – this was delicious! And our star of the breakfast course! After breakfast comes lunch – but its still light and fresh not Sunday roast juuuust yet! Just looking at this photo makes me unbelievably excited! 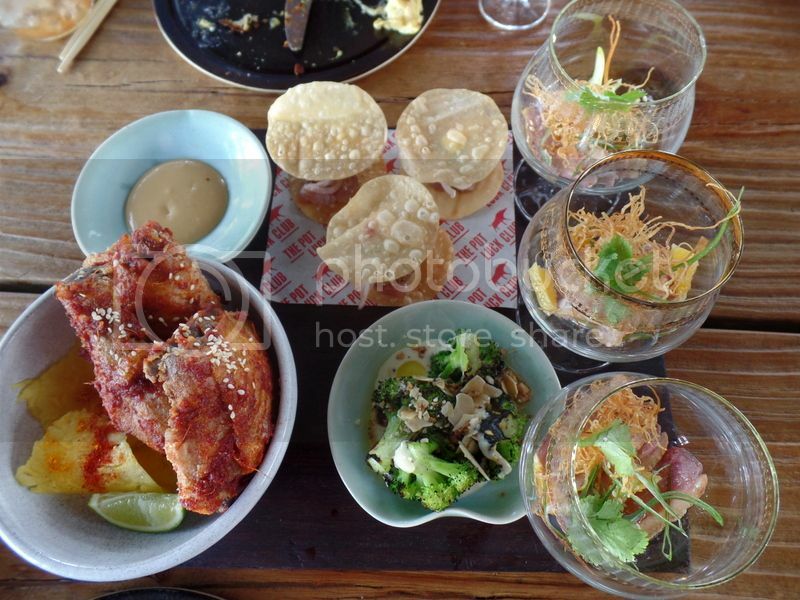 Two of my favourites from their dinner menu are on this platter – the Korean chicken and the tuna tacos! 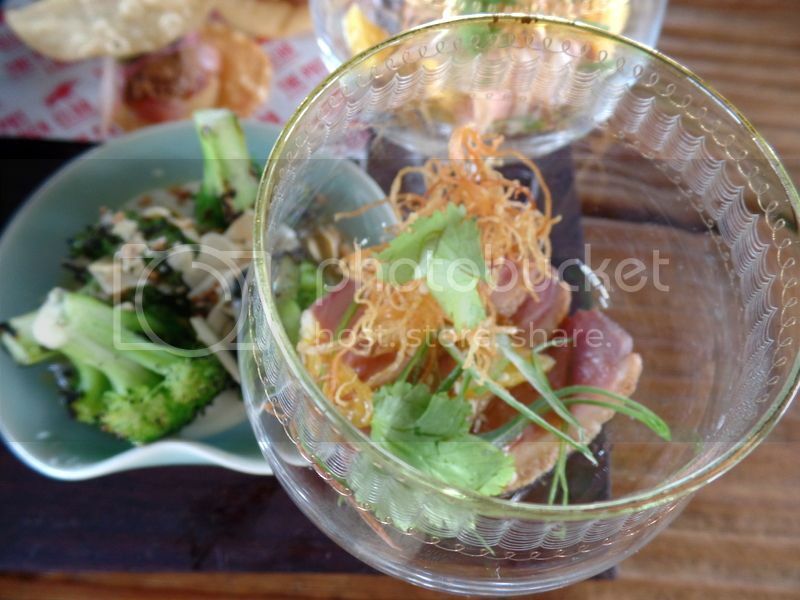 The duck breast with naartjie and yuzu dressing was served so beautifully in these little vintage cocktail glasses! What a clever idea! The duck was really tender and the sweet naartjie with the salty yuzu added lots of freshness to the dish. These guys are serious favourites of mine and every time I visit I order the Pot Luck Fish tacos! 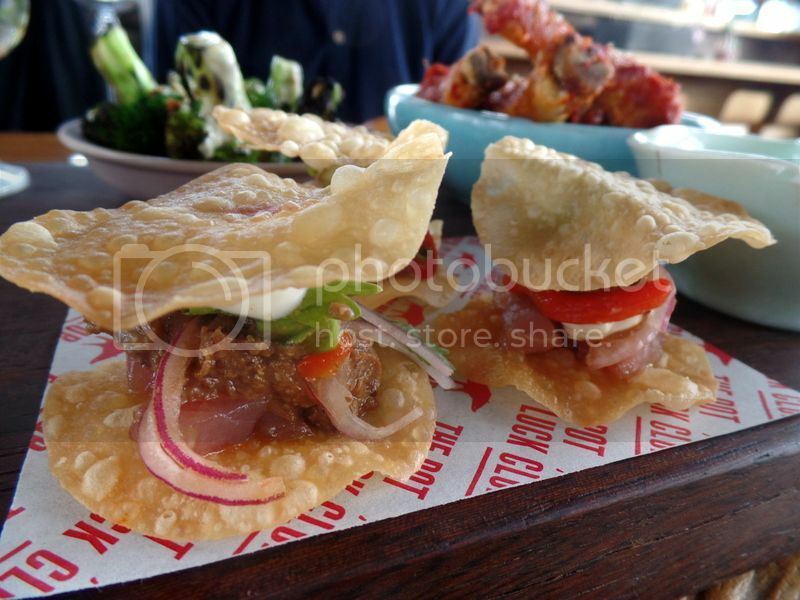 The crispy crunchy shells holding together the fresh firm tuna and about a hundred other flavours is absolute perfection! 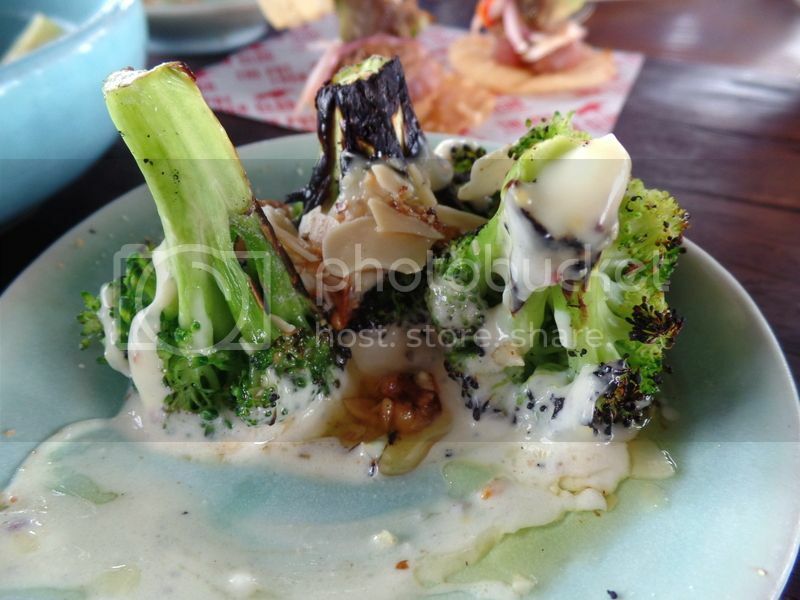 I never thought there would be a point in my blogging time that I would allow a giant picture of just broccoli to make it onto the blog. There is clearly a first time for everything because this broccoli is just so beautiful! I’m talking char grilled not steamed! These BBQ broccoli mops with blue cheese were really delicious! And then comes the Sunday roast! This is the smoked beef fillet with Cafe Au Lait sauce and fine green beans. This is for sharing between three people because by this point in the lunch you’re getting really full! 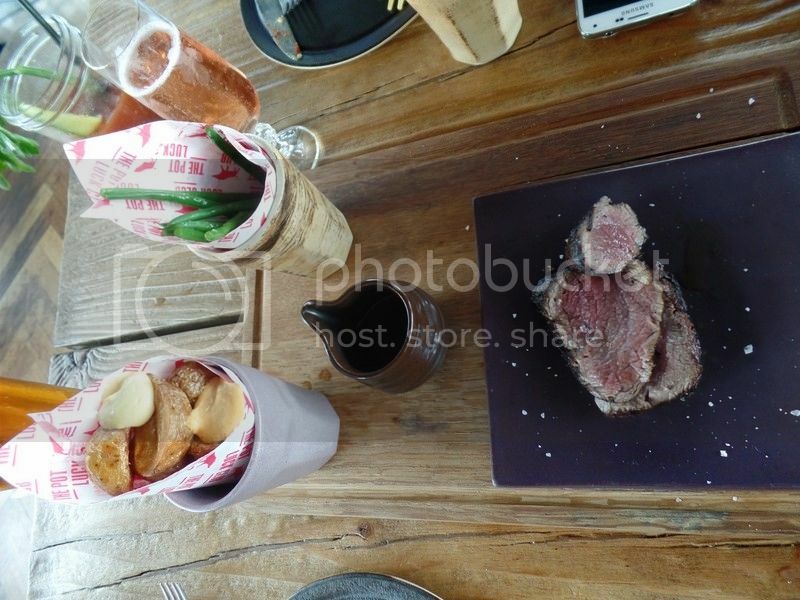 The smoked beef fillet was incredibly tender and cooked to a perfect medium rare. The little baby potato wedges were crispy and delicious and my grandmother’s favourite of the menu! The Cafe Au Lait sauce was seriously rich and paired well with the smoked fillet. This was all seriously delicous – now if only I could make a ‘Sunday roast’ even half as good! After all this food you’re thinking dessert is going to be hard work. But then good old Luke knocks your socks off by including the lightest, most delicate dessert to bring back all your favourite childhood memories. Designer smores and caramel popcorn milkshake. I mean the man is touted at being brilliant for a very good reason. 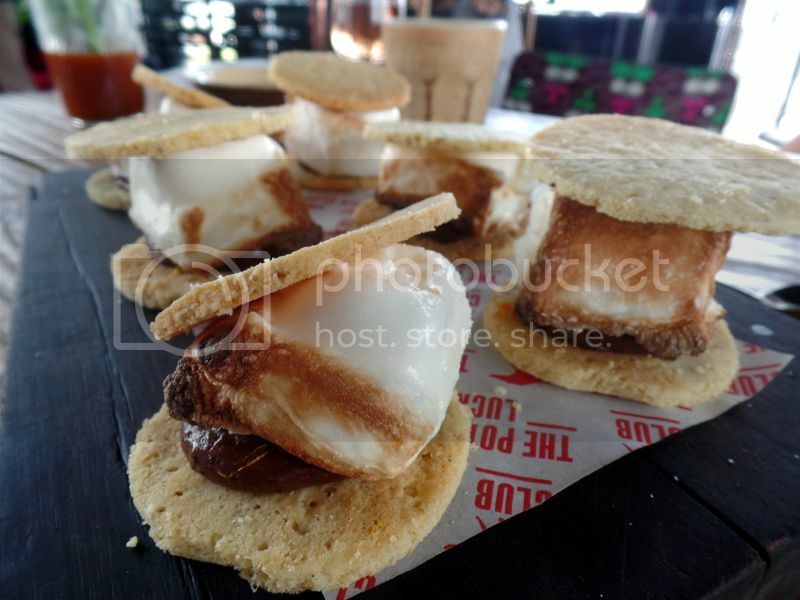 These are the Pot Luck Clun S’more! Are they not a work of art? These crumbly buttery cookie bases are help together by a slightly brulee’d cloud like marshmallow, smooth chocolate sauce and orange zest. Man this combination is killer! Chocolate, orange, sugar and butter- I could have eaten all of them! 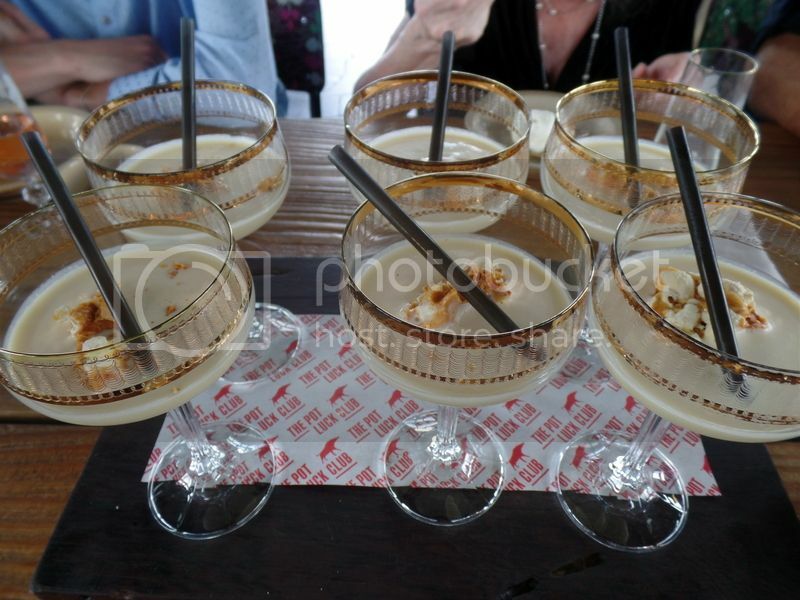 And I finally taste of the Sunday Brunch was a noisy slurp of popcorn Milkshake! 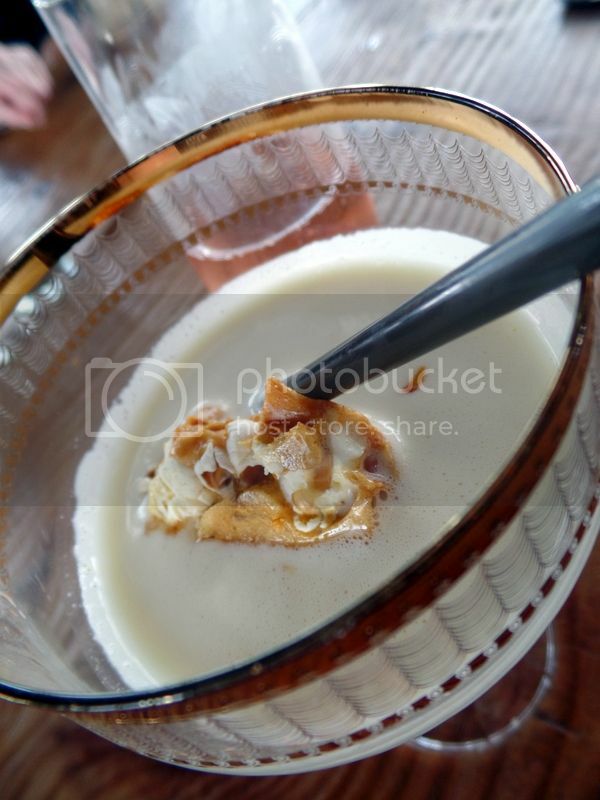 These creamy dream milkshakes were topped with crunchy caramel coated popcorn and were just full on happiness in a glass. We had an amazing brunch at the Pot Luck Club and I cannot wait to return as soon as possible. 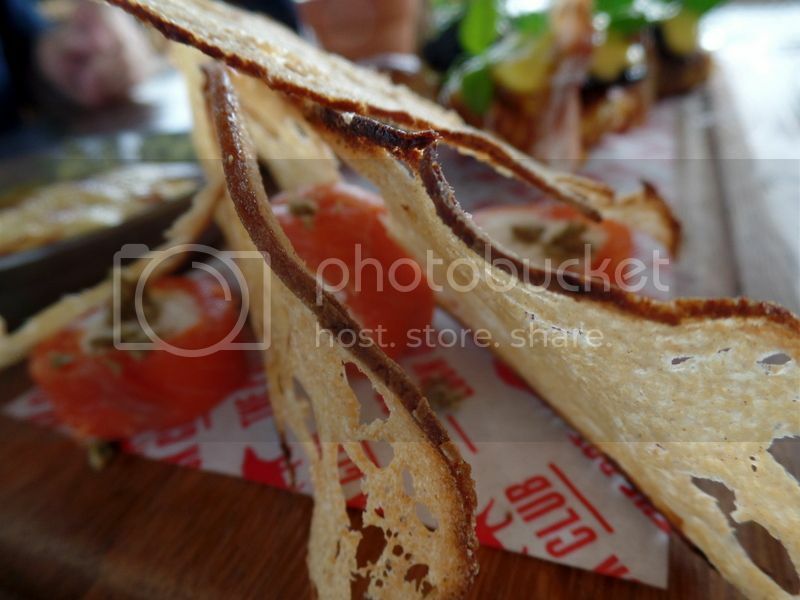 If you are keen to visit them for brunch do make sure to book a couple of weeks in advance.